Just hopping on for a quick post tonight. This week has been busy, busy, busy! I created this card set for Emma's last week. Our focus was on stamping. I've been trying to do more stamping lately so I was excited for this challenge. 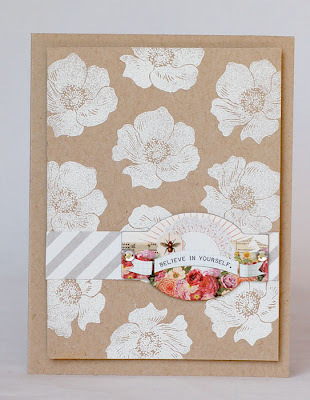 I broke out my two favorite stamping supplies - white ink and white embossing powder. I love the way the white powder makes the image pop right off the page. I used a variety of the new My Mind's Eye stamp sets on here. I added some MME chipboard on each card, too. Because of the designs, I wanted to keep things rather simple. This card uses a border stamp. I used a large image on here as the main focus of the card and used a small border , as well. And on this one, I used the flower to create the background. These are beautiful!! So simple but very effective, love it!! I ADORE these, Annabelle! Such a simple concept, but so easily overlooked with all we have to choose from. I will definitely be creating some of my own...thanks for the inspiration! 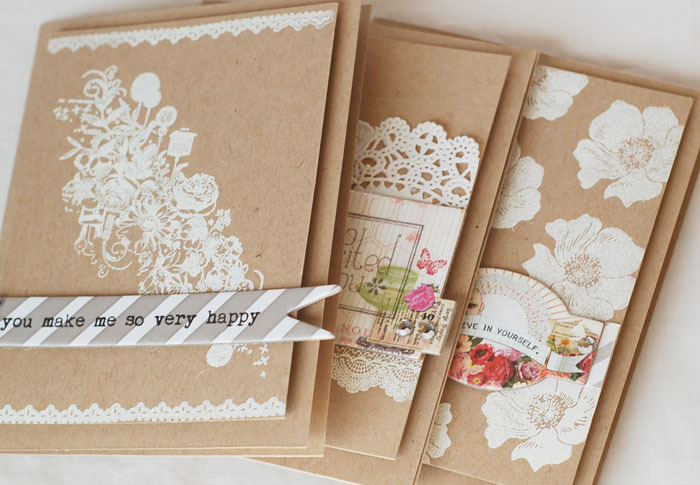 Your cards are so beautiful in their simplicity! The flower background looks so pretty on kraft cardstock! These are sooooo lovely !! 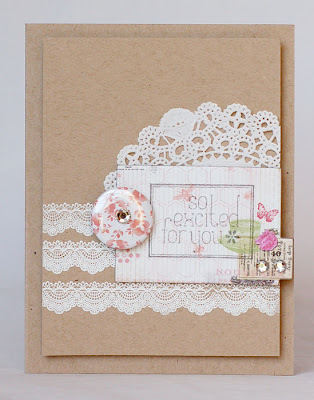 Love the white embossed stamping. Really shows up well on the kraft cardstock. Theses are GORGEOUS girl! Lahoove them all! WOW! Love the simplicity of white and kraft together. Awesome cards! Just love how elegant and classy these cards are Anabelle!